Since it’s on sale launch in June 2014 in the UK, we have seen the demand of the Tesla model S increase significantly. We now feature a range of new and used Tesla model S vehicles for sale throughout the UK, if you want to buy a Tesla model S we will help guide you through the process. The Tesla model S ranges in price, you can pick one up for anything from around £30,000 to £100,000, a lot of the price is dependent on the variations of battery packs as there are 30 kWh, 60 kWh and an 85 kWh versions, as well as the usual factors such as age and mileage. Used Tesla Model S cars are available from our network of approved dealers- You can compare prices by using our search function to find and compare similar vehicles. Different dealers will offer a variation of service and guarantee packages. Please ensure you read through all the information on the vehicle listing to gain as much information as possible. Simply click on the button below to find a Model S ready to buy. 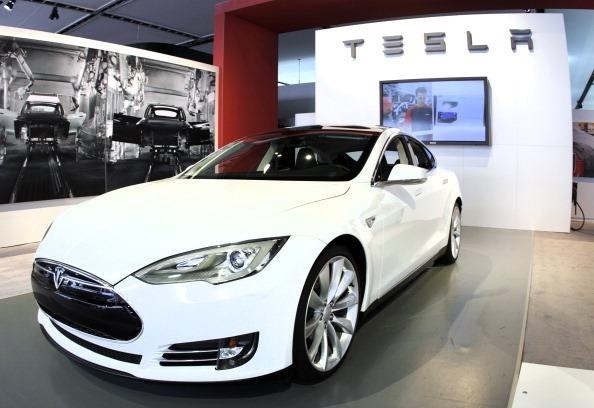 New Tesla Model S cars are available from Tesla Motors UK dealers- Tesla now has eight dealerships throughout the UK. Unlike conventional dealerships, Tesla’s are more like shops. Where you can go in a look at a sample car, and design and choose your vehicle specifically. The locations of the UK Tesla stores are available below. Tesla showrooms can now be found in the UK, the first UK showroom is situated in London’s upmarket Westfield shopping centre. This is not the average showroom where you’d expect to buy an average car, in this showroom you’ll find just one Tesla model S and the whole feel of the showroom is more like that of an Apple Store as the showrooms share the same designer. Situated next to Calvin Klein with its unique layout the Westfield Tesla showroom is designed to re-think the way people buy a car. Tesla believes this unique layout allows people who are interested in buying a new Tesla car get to know the vehicle in a low-pressure environment; it is really not about the hard sell. The unique layout of the sales floor is replicated in other cities these include Birmingham and Manchester in the UK. Tesla also sells a range of brand themed items such as T-shirts, hats and other items of clothing. The Tesla model S was the first UK sold electric car with a range approaching that of a conventional combustion engine vehicle. Tesla has been taking deposits and reserving cars in the UK since 2009, and people are already leaving up to £4000 deposit to put their name down to buy the model X SUV version. In Europe sales demand has increased significantly, and in the first quarter of 2014 sales of the model S where impressive at 3,074 units sold. When compared to sales figures for similar luxury vehicles the Tesla model S, sales are in a league of their own. 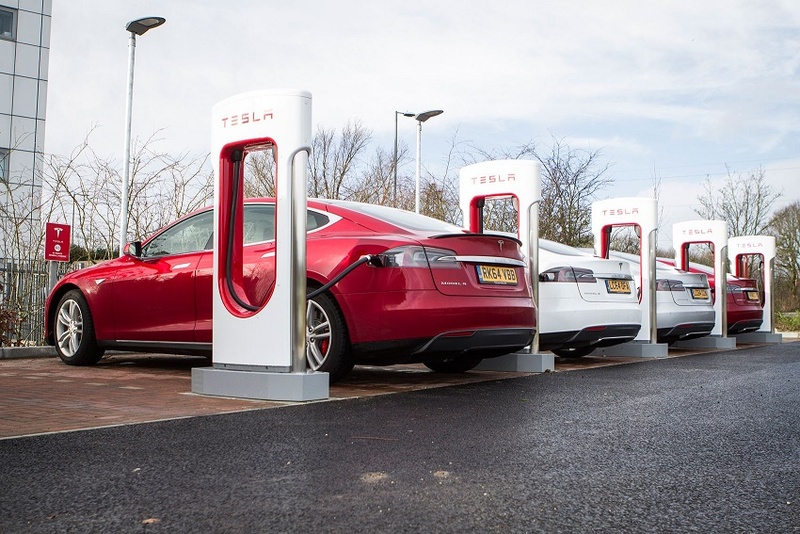 We can see demand in the UK increasing as EV’s become more widespread and better known and the rollout of Tesla’s UK supercharging network will only aid in the demand for this car, the network now has over 900 superchargers spanning 164 stations throughout Europe. 2015 has seen a sharp rise in the sales of electric vehicles, with a jump of over 300% against the first half of last year. According to Society of Motor Manufacturers and Traders plug in electric car sales in the first half of 2015 were up at over 14,000 units, and have almost taken over the total sales figures for the whole of the previous year in the UK. The UK now has over 35,000 EVs & HEVs registered and account for around 3% of car sales in the first half of 2015. Sales for pure battery EVs have increased by over 80% from 2,550 in 2014 to over 4,600 cars sold. In order to buy Tesla model S there are some financing options available, hire purchase (HP) can be obtained direct from the dealerships with repayments around £1000 a month for a three-year deal. PCP is the most popular financing option in the UK where effectively you pay for the value drop the vehicle rather than the whole vehicle. Although not currently an option this is something Tesla are looking at for the future. For business users there is also a contract hire option which starts around £800 per month excluding VAT, when exploring these finance options it is important to consider a month by month savings you’ll get from this vehicle as well as the other government incentives including road tax, giving you further financial benefits. 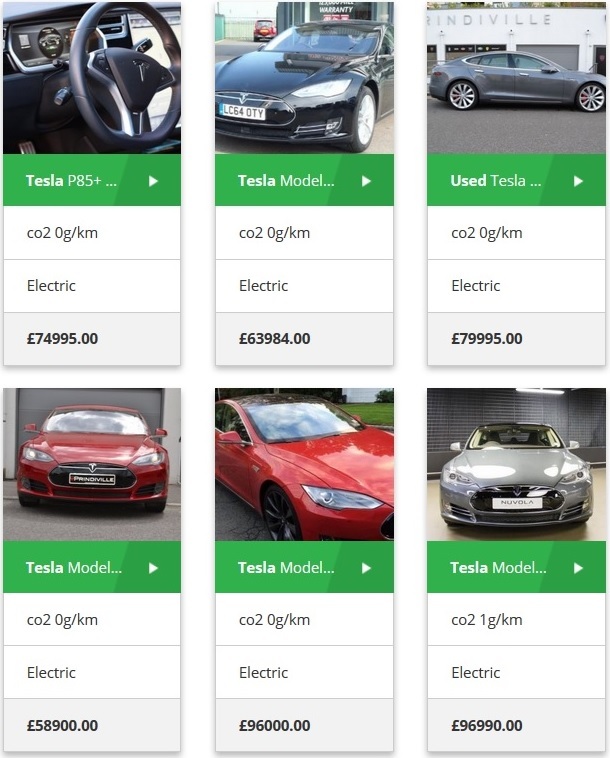 If you are serious about buying a used Tesla model S in the UK, you will find that there is more available than you may think. 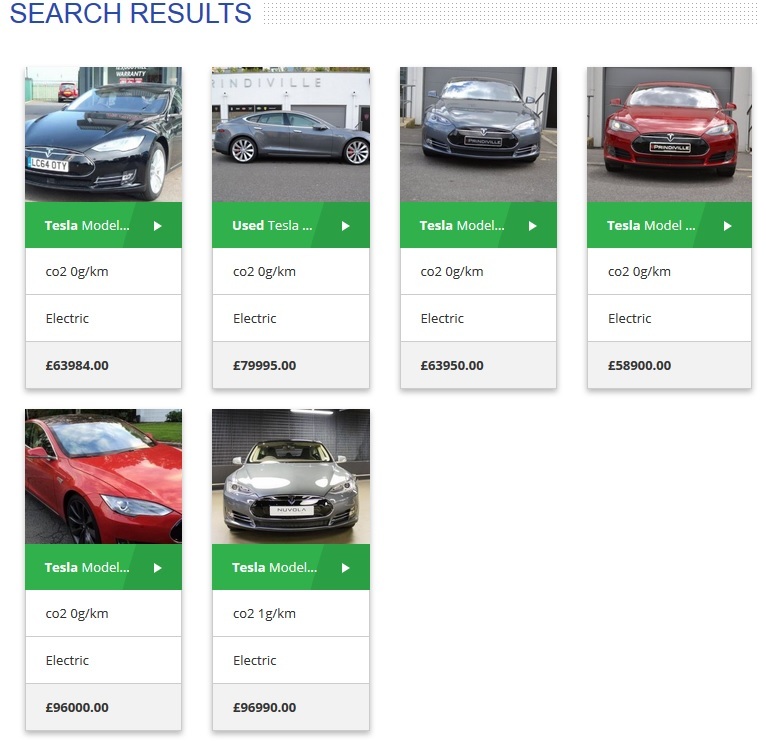 To find a Tesla model S for sale use our unique search function by following the link below. Not convinced yet? Watch this trailer and see how cool it is to be a Tesla owner and driver. Want to find more Electric Cars For Sale?